10 reasons to get out hacking this summer! Hacking your horse in beautiful countryside is good for both you and your horses health. Its great fun, relaxing yet should never be overlooked as something that only amateurs do. Its a vital part of top level sport horses' weekly routine. Since Trackener's involvement with the Brooke My Hackathon, we have recently launched a free smartphone app with GPS software to enable you to track your rides. Click here to download Trackener Ride now! If you're not already persuaded, read on for Trackener's top 10 reasons to get out hacking this summer! On horseback, you can reach parts of the countryside you can’t access by car or bike, and it’s a lot easier than walking or running! There are lots of beautiful parts of countryside in the UK which you probably don’t know exist. Check out the BHS Ridemaps facility to find a bridle path near you! Walking your horse slowly up and down hills helps to develop balance, build muscle and condition the heart. It’s also a great way of making them more forward going and forward thinking! Hacking should be chill time for you and your horse. 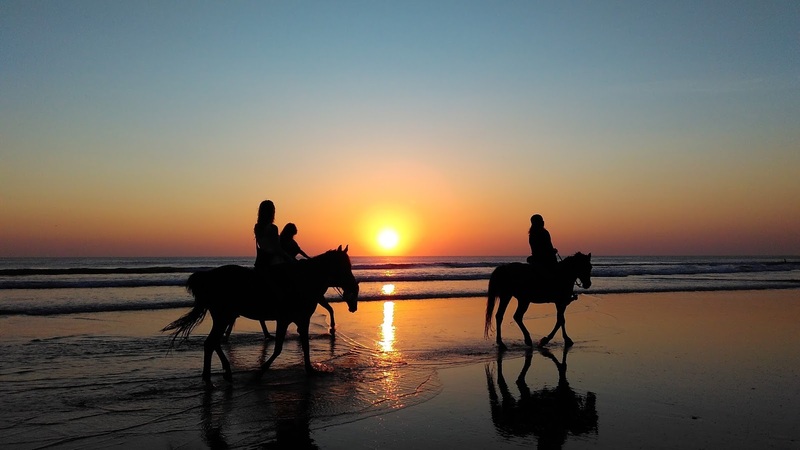 Research carried out by the University of Brighton on behalf of the British Horse Society concluded that riding horses stimulates positive feelings and can help to resolve negative feelings experienced through anxiety and depression. Rather than riding around the same four walls of an indoor school every day, getting out hacking in different environments keeps your horse mentally fresh. A happy horse makes a happy rider! You don’t hear that word associated with horses very often! So make the most of it, hack locally or box up and head to countryside in the New Forest, the Cotswolds or even a beach somewhere. No membership fees required! For disciplines such as eventing, the surface that you compete on is a lot different to what you train on at home. 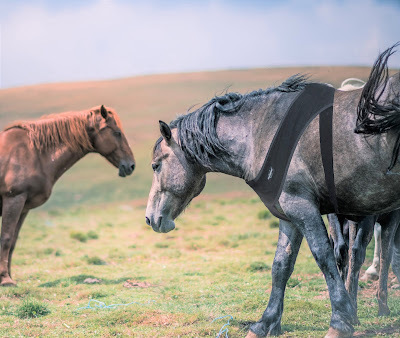 Your horse needs to be used to working on all different ground types and terrains! Working your horse on slightly uneven surfaces will help with its balance and coordination. Does your horse like to push his way to the front of the ride or is he happy to sit at the back? If he’s more of a follower, it’s a great way to build his confidence by letting him walk at the front of the ride and overcome spooky objectives with lots of praise and encouragement from yourself. Hacking can be a great social opportunity if you go with your friends. What better way to socialise than when cantering across headlands exploring new parts of the countryside? You’ll have equally as much fun if you go on your own too! 10. You can raise money for charity as you do it! By registering with the Brooke for ‘My Hackathon’ and downloading the TrackenerRide smartphone app from the App Store, you’ll be able to fundraise for a great charity as you hack! The aim is to ride 100 miles in 100 days and raise £100 for The Brooke. Click here to sign up online today, then click here to download our free smartphone app.